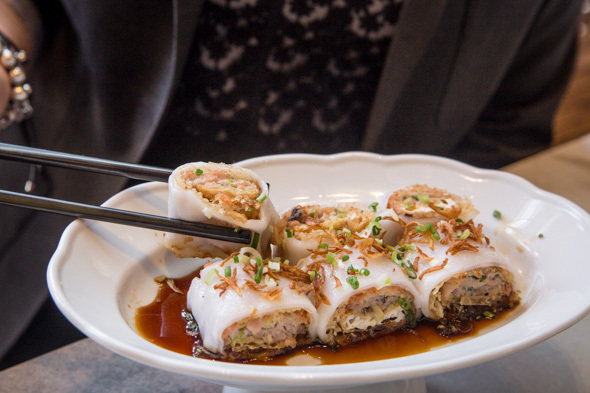 Luckee, renowned chef Susur Lee's latest restaurant, is an all-day dim sum spot situated at the base of the Soho Metropolitan Hotel. 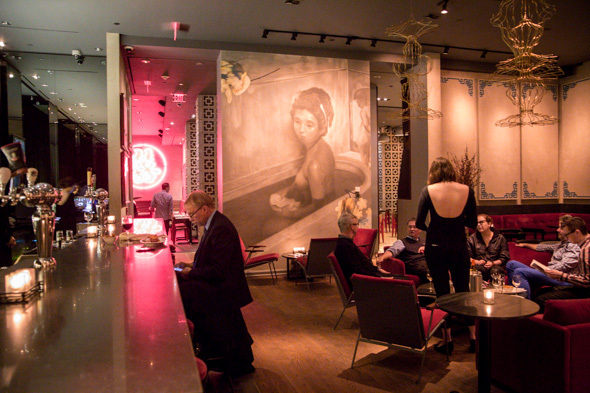 Formerly Senses, the restaurant has been dramatically redesigned by Brenda Bent (Lee's wife) and Karen Gable. Now, it's an exaggerated take on traditional Chinese motifs, complete with neon signs, painted screens and bright red accents. 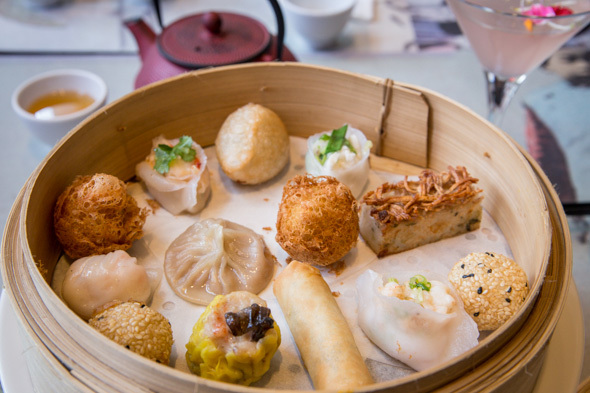 The dim sum menu lists steamed, fried and vegetarian selections, covering a variety of dumplings rolls, buns and cakes. On weekends, full cart service will allow guests to simply point at whatever assortment rolls by, but on weekdays a card is supplied to mark off each dish ($4-$8) a la carte. Prices are, as anticipated, pricier than East York or Markham. At the top end, there's scrumptious lobster-filled long xia gow dumplings ($8) and meticulously crafted chicken cheung fun ($8), a crispy tempura-fried roll filled with minced chicken and tofu, delicately double-wrapped in a rice roll. The main menu dubs itself nouvelle chinoise cuisine, featuring classic dishes like szechuan hot and sour soup ($10), kung pao shrimp ($19) and peking duck ($18 for two). More unusual selections include the shanghai ham ($20), two uniform cuts of pork swimming in honey sauce. 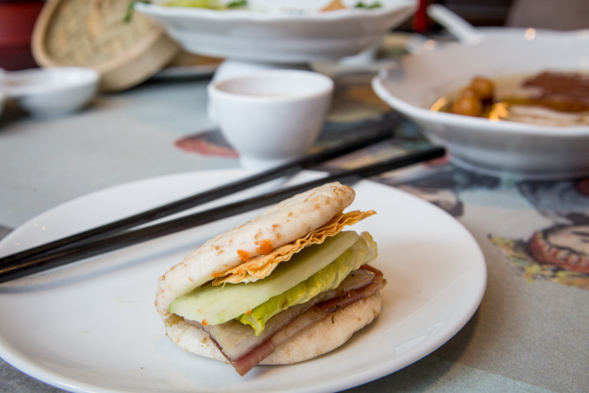 The sharable order is served to the table for self-assembly with a basket of whole wheat bao, assorted condiments and fresh and crunchy garnishes. 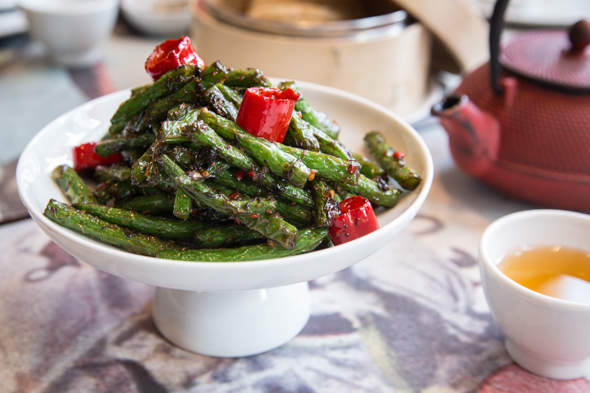 Demonstrating how Lee can turn even the simplest ingredients into stunners, there's wok fried green beans ($12), assertively seasoned and tossed with chilis. 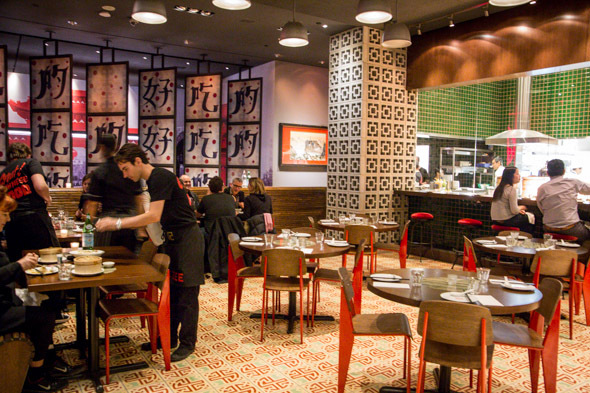 The bar menu features an extensive range of wines and about a dozen bottled beers ($6.25-$9). 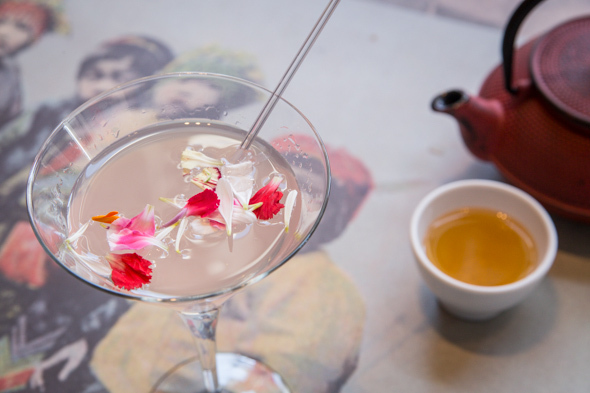 The cocktail list is brief, offering sweet, brunch-appropriate refreshments like The Calm ($16), a blend of plum sake, vodka, Junmai sake and yuzu juice. 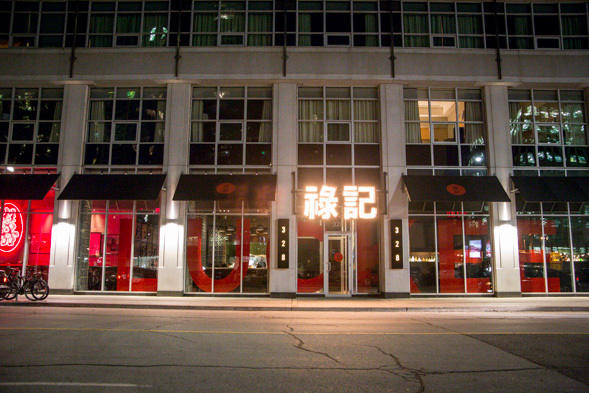 Luckee is open for dinner daily at 5:30pm; the bar and lounge opens at 4pm for drinks. The full dim sum cart experience is rolled out on weekends from 11am to 3pm.